The age-old question for cat owners is what to do with their feline friends when it comes time to travel. For the most part, cats do not travel well. They don't enjoy it. They don't adapt to it. They simply don't like it. At Animal Boutique, we believe leaving your pet when you travel should not be stressful for either of you. We've developed a cat boarding experience designed to give you peace of mind and provide your pet with a safe and fun experience while you're away. 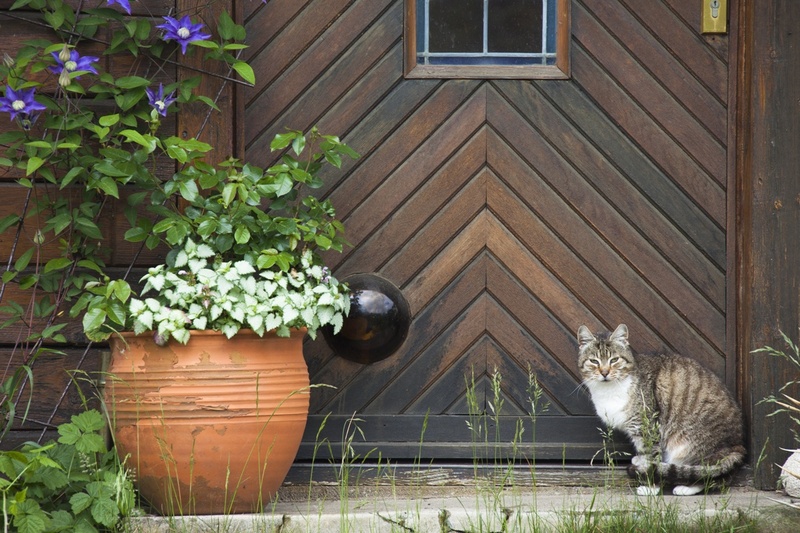 Our Lady Bug Cottage is staffed by devoted animal lovers who are committed to pampering our guests. So relax, and enjoy your time away while your pet is having a vacation of its own at the Lady Bug Cottage. Just a reminder ... use a cat carrier to bring your cat to us. You should always carry your cat in a fully secured carrier when outside your home, and this holds true at cat boarding facilities as well. So when it's time to travel, remember the Animal Boutique. Your cat will love the Lady Bug Cottage. Whether you’re going away on vacation or just searching for a fun and caring place for your dog or cat to stay during the day, Animal Boutique is the place to call. We also have professional groomers on staff to keep your pet looking good.